It is with heavy hearts that we announce the peaceful passing of our Mother, Grandmother, Great Grandmother, Sister, Aunt, and Friend. 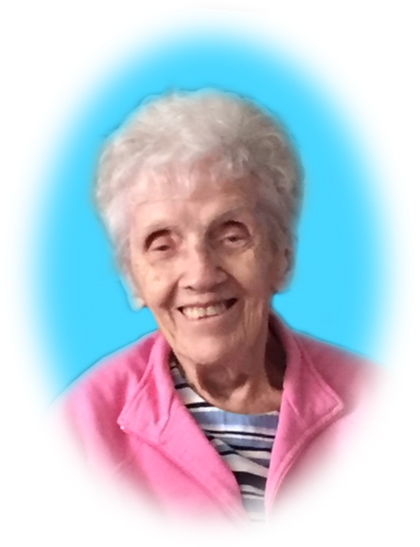 Mom passed away at the TBRHSC on February 3, 2019 at the age of 93 (almost 94). Eileen Therese Mayhew was born on April 23, 1925 in what was known as Fort William to Joe & Laura Mayhew (Buckley). She attended local schools and in 1945 she met the love of her life John and in 1947 they wed. Family was very important to Mom and raising her 4 daughters became her priority. Mom was a lifetime member of the St. Pat’s CWL and received an honorary award for her dedication to the Church. She was also a long time member of the St. Pat’s Choir. She loved her Blue Jays and cheered them on faithfully. She enjoyed her Monday morning coffee and her Thursday night Bingo’s at her apartment building. Eileen is survived by her 4 daughters; Linda Brodie (Byron) sons Scott (Nyp) Calgary Alberta, Jeff, Toronto Ontario, Kerin Heino (J.P) sons Kevin, Hayward California, John (Julia) Jane CSJ, sisters of St. Joseph and Tracey Boyce (John Ahvenniemi) sister Leona Cotnam, brother-in-law Ben Capulak (Alice) sister-in-law Amy Capulak. She was a special Grandmére to Calista, Noah and Callum Brodie and they will miss her dearly. Other nieces, nephews and family members survive. She was predeceased by her parents, her husband John and his parents John and Johanna, sister Mary and Frank Fayrick, brothers-in-law George Cotnam, Joe Capulak, sister-in-law Johanna and sister Helen OSB and nephew Robert Capulak. Funeral services will be held on March 22, 2019 at 11:00am at St. Patrick’s Cathedral with Monsignor Pat Stilla officiating. A reception will follow and a private family interment will take place. Thank you to the paramedics, ER staff, doctors and the fantastic staff of 3A who took such good care of Mom. In lieu of flowers, donations to St. Joseph’s Foundation or charity of your choice would be greatly appreciated. Eileen Capulak will be remembered in the Blake Funeral Chapel Memorial Grove. Annual dedication service Sunday, June 14, 2020.